Senior Malaysian tourism officials are now in India to woo more tourists from the burgeoning affluent middle-class population there. It will be a tough task as regional players are eyeing the same market to rake in foreign exchange for their cash-hungry economies, however. A high-level delegation led by Tourism Minister Datuk Seri Ng Yen Yen is convincing dozens of Indian travel agents that Malaysia is a competitive tropical holiday destination in Southeast Asia, unparalleled compared to its neighbors. More Indians, made rich by their country’s decades-long economic success, are traveling abroad for leisure. This activity was something previously exclusive only to the noveau rich there. Eight to 10 million Indians travel annually – a dismal figure if compared with the country’s billion population count. The number is growing annually especially with nearly 20 million people adding yearly to the already existing 300-million strong middle-class society. “India is an exciting market for us. We only had 29,000 tourists from India in 1999 but the figure shot up to 500,000 last year. “We want a million Indian tourists to visit Malaysia in the next two to three years,” Dr. Ng said. Cash-rich Indians are also big spenders, having splurged a whopping RM1.5 billion last year in Malaysia alone. 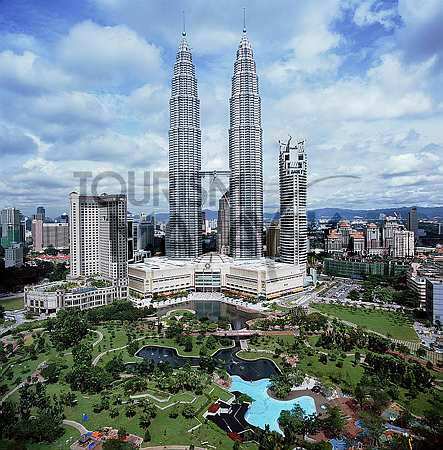 Malaysia raked in over RM40 billion in tourist dollars from nearly 22 million visitors, placing the tourism sector as its second largest foreign exchange earner after manufacturing. Over the last decade, persistent marketing strategies backed by tourist-friendly policies helped Malaysia penetrate the tough Indian market. India is a favorite hunting ground for tourist-dependent countries like Indonesia, Singapore and Thailand especially when the sluggish global economy clipped these nations’ foreign earnings. “India is the fifth largest market for Malaysia. We need to re-look at it and at our advertising strategies because each city in India is different and unique. “Malaysia Airlines and Tourism Malaysia need to collaborate to promote Malaysia among Indians. We cannot rest on our laurels,” Dr. Ng continued. Dr Ng and her delegation are currently on a roadshow covering Delhi, Mumbai, Hyderabad, Bangalore and Chennai to promote Malaysia as an attractive tropical holiday haven in the region. She said Malaysia is ready to offer tourists from India customized wedding packages, special holiday bonanza treats for women as well as diving, golfing activities and mega sales for shopaholics. Indian travel entrepreneurs are demanding more from the Malaysian delegation, however. They want visa-on-arrival arrangements, which the Malaysian government canceled last year due to over-staying problems, and increased flight frequency. In her sessions with the media, Dr. Ng promoted to hard-hitting Indian journalists the famous “Malaysia Truly Asia” campaign line which placed her country on the international tourist map. “We’re cost-competitive and tourists are safe in Malaysia while India and Malaysia have many commonalities. “Come to Malaysia and see what we have”, she told Indian reporters. It’ll be a tough challenge for the new minister, however, with emerging regional players like Indo-China also targeting to capture part of India’s outbound tourist market. With Influenza A(H1N1) on the rise, tourist arrivals in Malaysia could be in the cold.